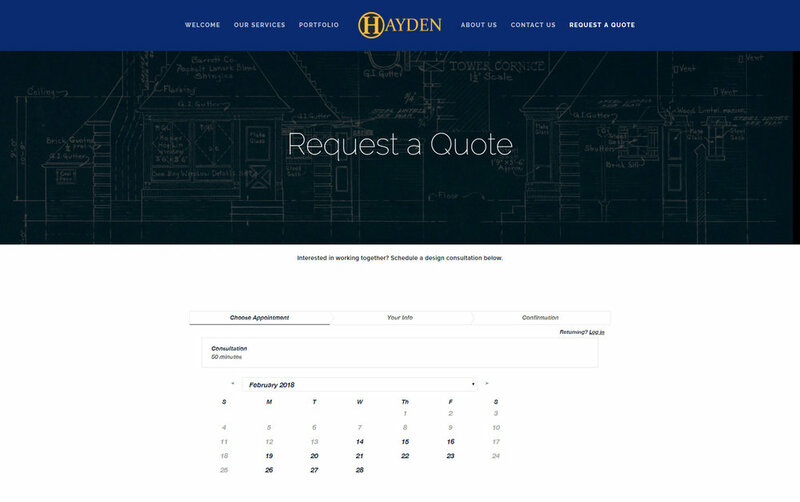 The Construction/Real Estate Template is a clean template that has a bold Hero Image (or images) Welcome screen, booking/scheduling for appointments, blog options, contact pages. The clean design pulls the eye down to up to 3 resource frames that can be individually linked to other pages. The Construction/Real Estate Template is a Premium Corporate, Construction, Architecture and Business theme designed by Cohesive Support, that can be used for any kind of business to showcase your new website. The Accordion File allows for you to compress multiple bullet points onto one page with out cluttering up the page with too much information. It creates an interactive section that draws visitors in, each click displays more information drawing visitors deeper in helping to sell your service. A booking system can be integrated into your site making it possible for you to take or schedule appointments directly through your website. 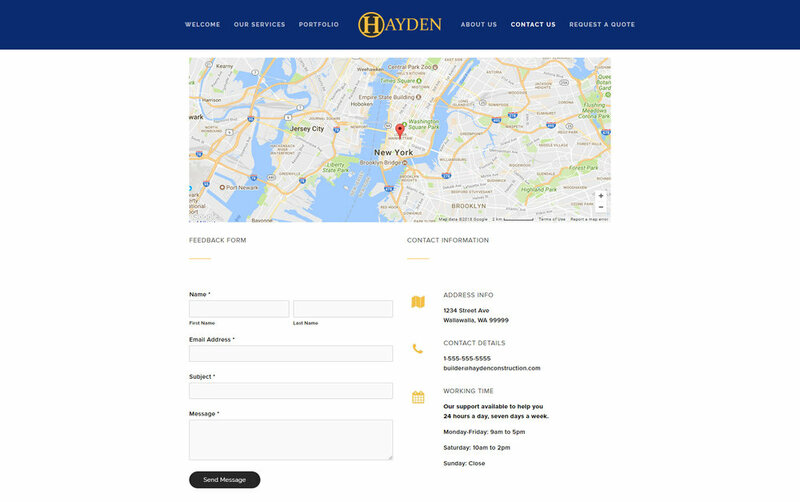 The contact page can be fully customized to display your location, email, and phone information. The contact form is set up so that once complete the form will be delivered directly to an email of your choice. The contact form seen asks basic questions, but these form can be designed to allow for many different questions allowing you to get a better feel for your potential clients and their needs. Buy the template and we'll put your imagery and info in so it becomes your website, quickly and efficiently! What we will need from you? After you have filled out the form above we will contact you with specifics, but here is the basics of what we will need. Your questions and requests will be handled by our team promptly. Buying this template and our service means you have the Cohesive Team. If for any reason you are unable to provide photos we can assist you in finding stock photos and images from reputable sources. Not completely satisfied with the layout? We are able to move elements around so that it fits your vision. We have a wide selection of fonts to choose from so that the website fits the theme of your company. This template is already for desktop browsers and mobile users alike. The template will scale down and compress for mobile users. Cohesive takes your images and runs them through compression software so they cut down on data usage and load times. You will be completely happy with our template and services.